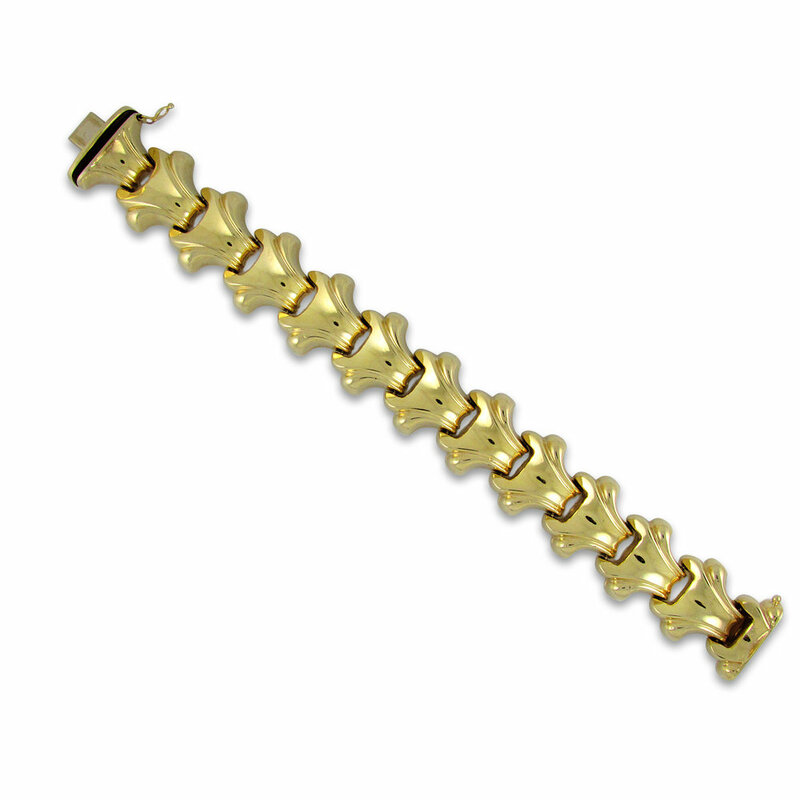 14KT yellow gold hollow link bracelet. Stamped "ITALY." Probably made in the early 1950s. The bracelet measures 7/8” wide, 7 1/2” long and weighs 37.8grams.